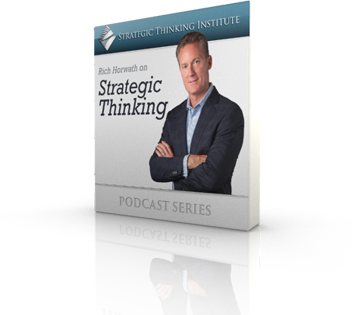 Join author Rich Horwath for more than four hours of valuable insights on the three disciplines of strategic thinking and how to apply them on a daily basis to your business. 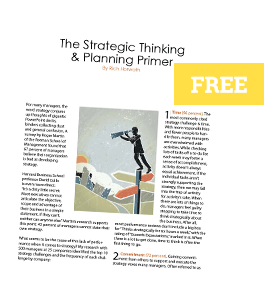 Recent studies published in the Wall Street Journal and Chief Executive Magazine have shown that the #1 most valued skill in executives today is strategic thinking. But research shows that only 3 out of every 10 managers are strategic. 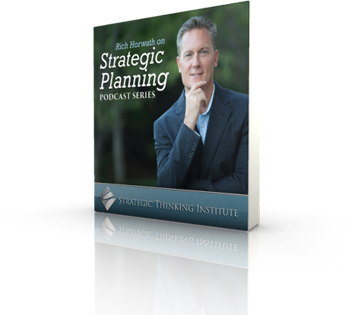 Rich Horwath provides you with a range of tools and techniques to build your strategic thinking competency and become a better strategist. A Harvard Business School study showed that 67% of managers believe their companies are bad at developing strategy. Learn how to build an effective strategy development process, conduct an effective strategic planning workshop and transform strategy from an annual ritual to a daily dialogue. 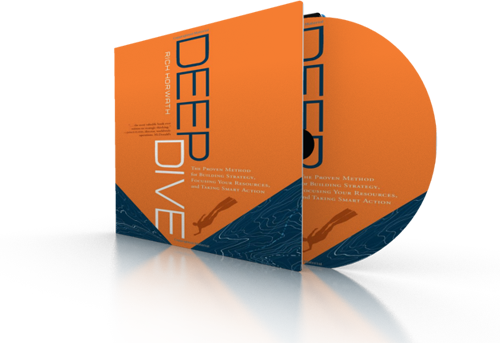 Rich Horwath provides you with simple and practical techniques for setting more effective strategic direction on a regular basis. If you don’t have competitive advantage today, you may not be around tomorrow. A ten-year study of 160 companies showed that firms without clearly defined and well-articulated strategies are beaten by their competitors by 304% in profit margin, 332% in sales and 833% in total return to shareholders. Rich Horwath provides leaders at all levels with the concepts and tools to build competitive advantage for their business. 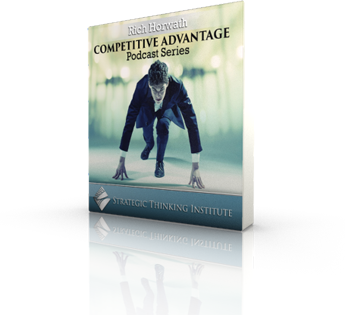 You’ll learn how to create a Strategy Design to guide your business, analyze competitive advantage using its three components and develop a plan to outthink and outperform your competition. A study published by the American Management Association showed that an executive’s ability to develop strategy is the most critical competency to their success. Now managers at all levels can build their skill sets to lead strategically by learning to implement new tools and techniques. 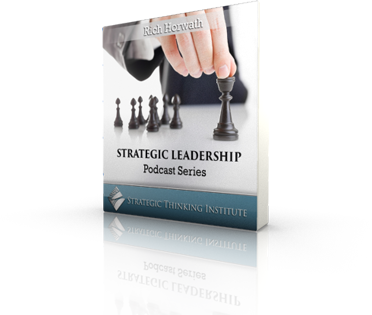 Rich Horwath helps you discover your true leadership potential through strategic discipline, strategic behavior and methods for helping your people become better strategists. Research on 750 bankruptcies over a 25-year period showed that the #1 cause of bankruptcy is bad strategy. 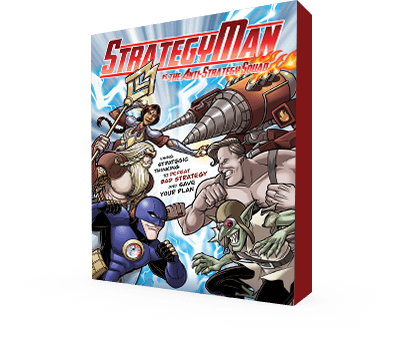 The reality is very few people in business have a good understanding of what strategy is and how it can be used to build a successful business. 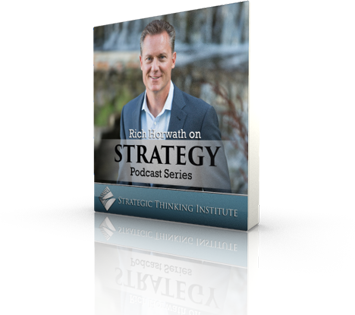 Rich Horwath takes the mystery out of strategy by providing you with the foundational principles of strategy and the practical tools to leverage strategy into a competitive advantage for your business.